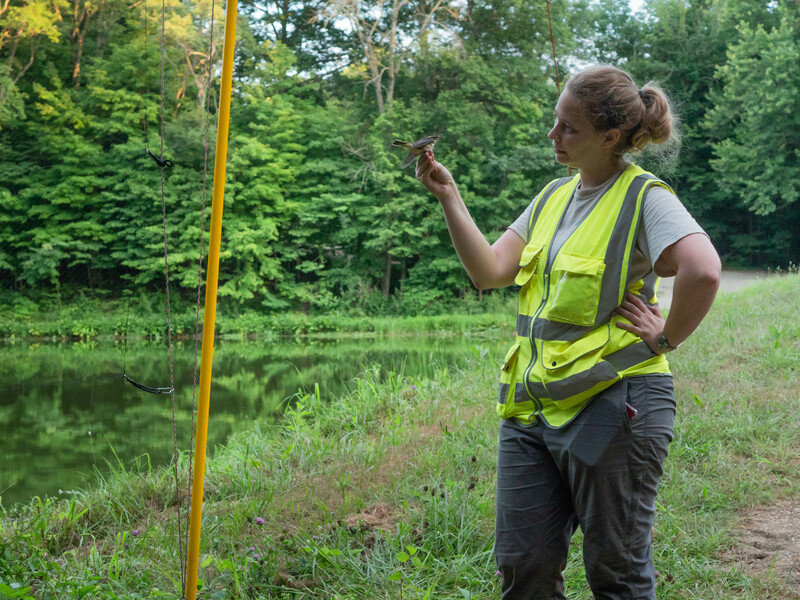 Megan has 11 years’ experience conducting terrestrial wildlife surveys in the mid-western, eastern, and southern U.S. She is a bat specialist, but also has experience with birds (emphasis in raptors), small mammals, reptiles, amphibians, and invertebrates. She helps clients (government and private) assess and minimize the risk of impacting places with ecological and wildlife value. She also coordinates with agencies and consulting parties to comply with the Endangered Species Act, including writing portions of large regulatory documents such as Habitat Conservation Plans, Biological Assessments, and Environmental Impact Statements. Her bat-related work expertise includes summer and winter habitat assessments, radio-telemetry, diet analysis, and acoustic, mist-netting, harp-trap, and post-construction wind farm mortality surveys. She is familiar with 13 species of bats and has conducted bat surveys in ten states including: Indiana, Kentucky, Virginia, West Virginia, Illinois, Michigan, Ohio, Pennsylvania, Texas, and New York. She also has experience completing rare bird point count surveys and eagle nest surveys.